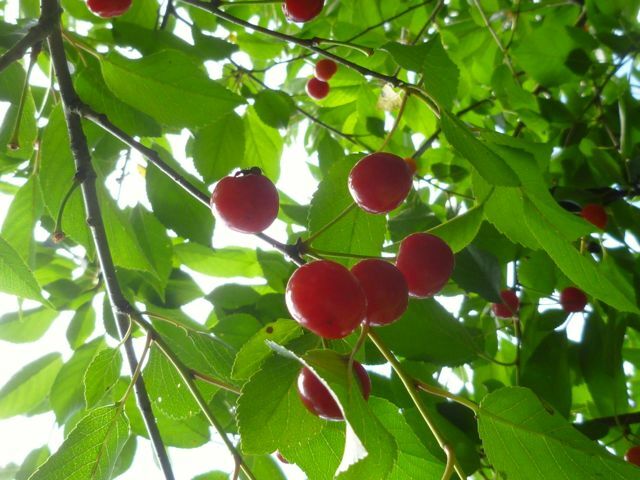 Sour cherry season is here - its a quick one, so get them while you can! With all of this rain, it could be a one hit wonder at the market this year. 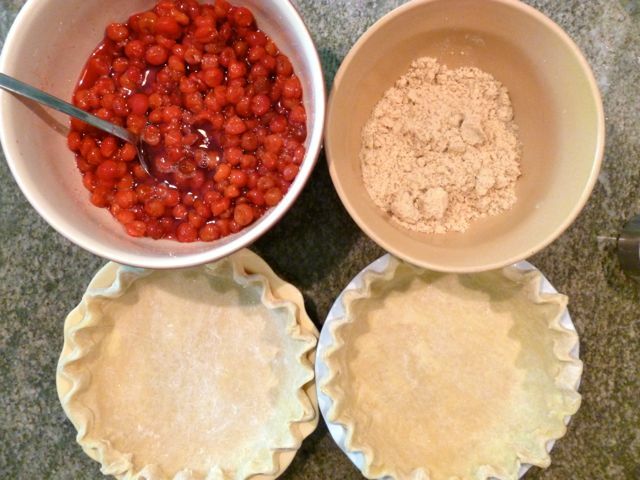 2 Pie Crusts - Here's a link to a tried and true pie dough recipe - keep them refrigerated until you are ready to assemble the pies. 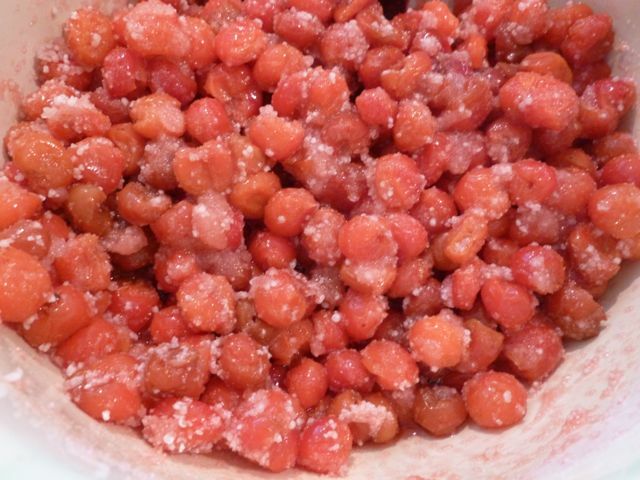 Combine the cherries, sugar, tapioca, lemon juice, almond extract and salt in a large bowl. Allow to sit for 30 minutes to allow the tapioca to hydrate. Preheat the oven to 350 degrees. Make the crumbs by combining the flour blown sugar and softened butter together - I use my hands - messy but quick! 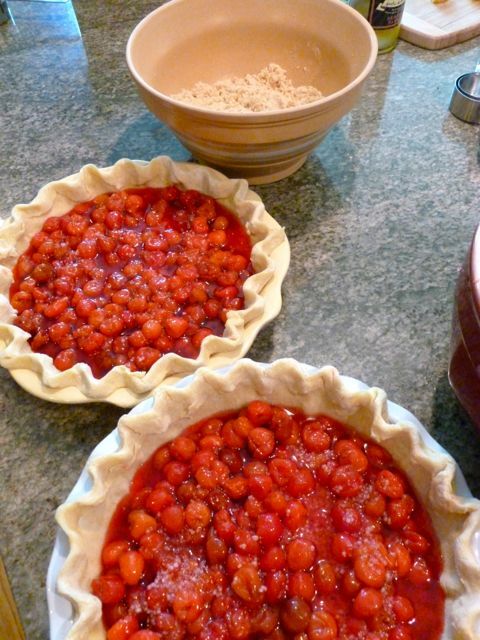 Divide the cherries between the pie shells, juice and all. Top with the crumbs. Bake for 50 minutes, and voila! 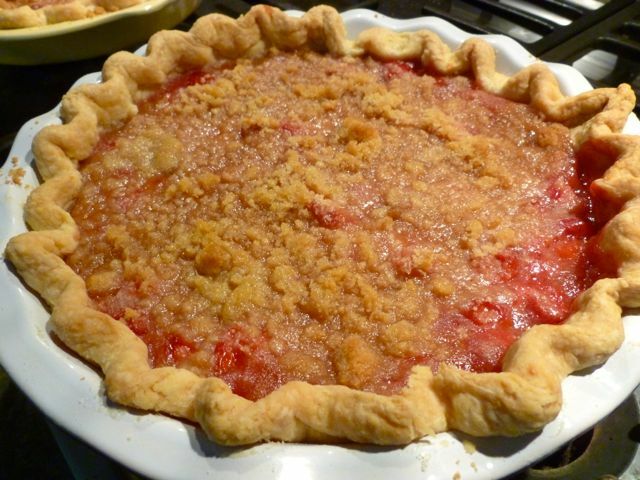 Allow the pie to come to room temperature, and then refrigerate until serving.